Four-claw setting securely holds a 0.80cts oval cut diamond, sitting proudly above the dazzling diamond set shoulders. 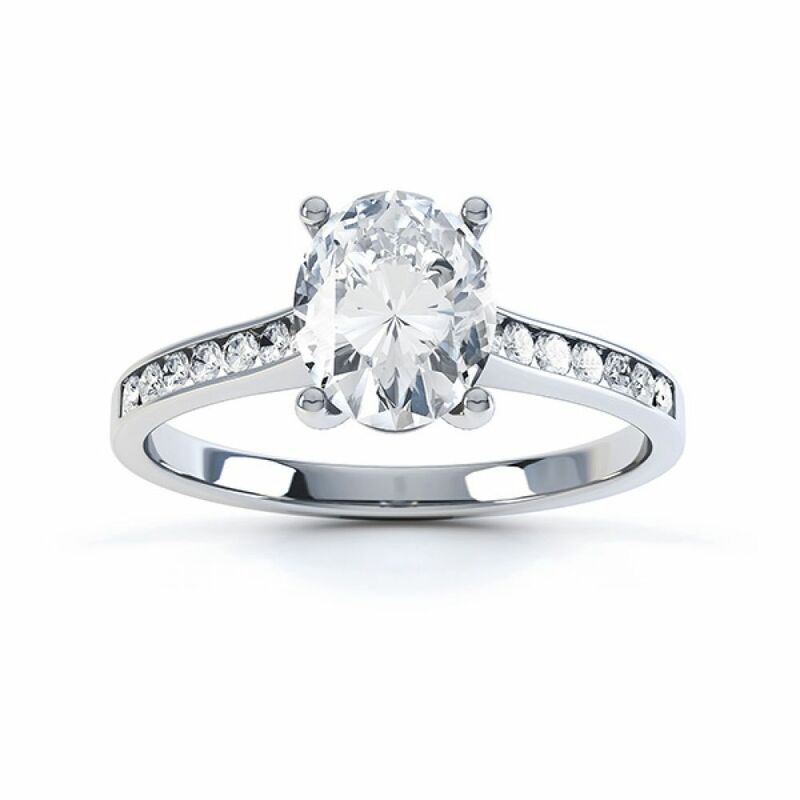 This 0.80ct Oval cut Diamond Solitaire Ring is handcrafted with Diamond set shoulders; giving it a dramatic beauty. The Oval Diamond is cradled within a secure four-claw setting and is graded I colour for whiteness and VS2 for incredible purity. It proudly sits above an extra set of scintillating Round Brilliant cut Diamonds with an additional 0.12cts. 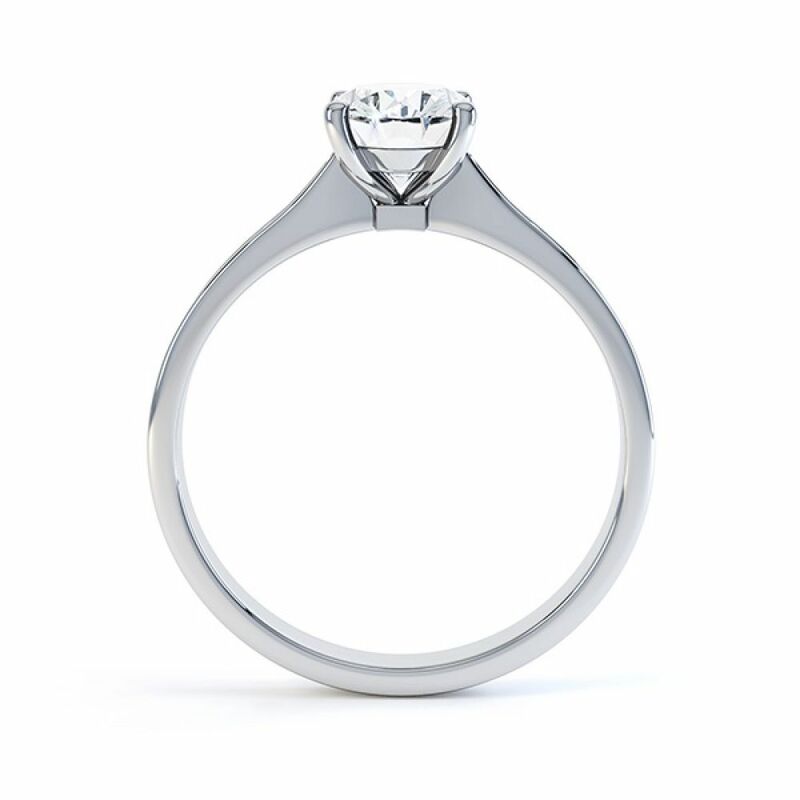 Created in 18ct Fairtrade White Gold in a finger size M, and if it is not quite the right size, we can assist you with resizing the ring by 1 size up or down if required. 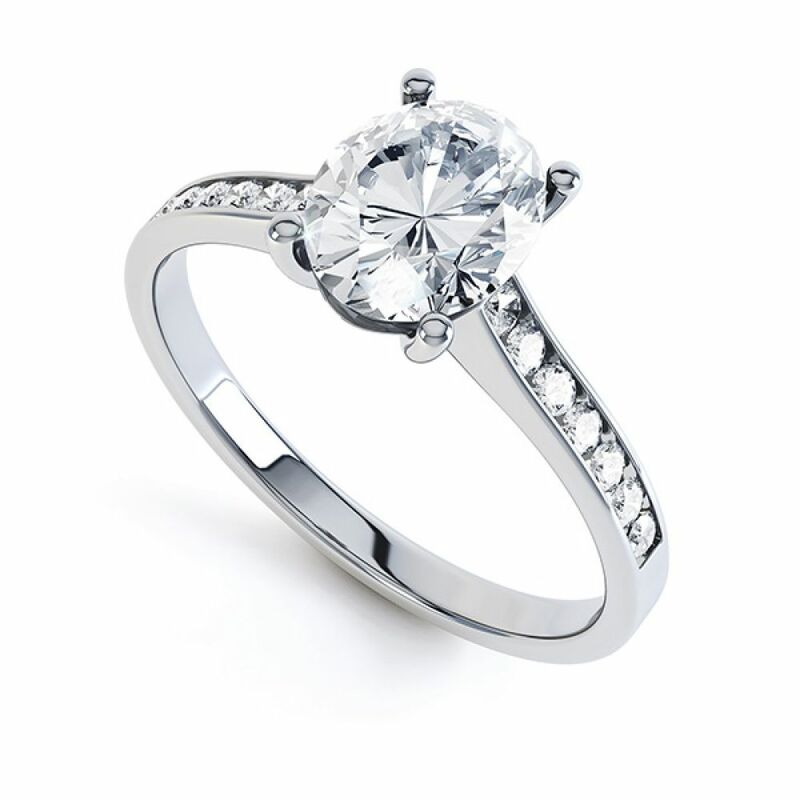 Your ring can be with you for immediate dispatch within the UK as a next day service. Or for outside the UK, it can be with you in just a few days.